Whether you’ve been Marie Kondo-ing your closet or doing some spring cleaning, you might have piles of clothes in need of a new home. Poshmark is a great way to purchase gently used or new clothing at a discounted price or to sell some of your own clothes. Poshmark is a social reselling site for clothing, shoes, and accessories. The concept is simple: post clothes online in hopes of selling them. Other users “share” these items, you can follow other Poshers, and “like” items. When an item sells, you are emailed a pre-paid Priority Mail shipping label. Package the item up and once it is delivered and the buyer confirms it is what they ordered, you can cash out. Poshmark differs from eBay or other online sites because of the social aspect. Buyers are able to make offers or combine, or bundle, multiple items in your closet. My favorite part is the pre-paid shipping label. There’s no weighing or calculating involved. 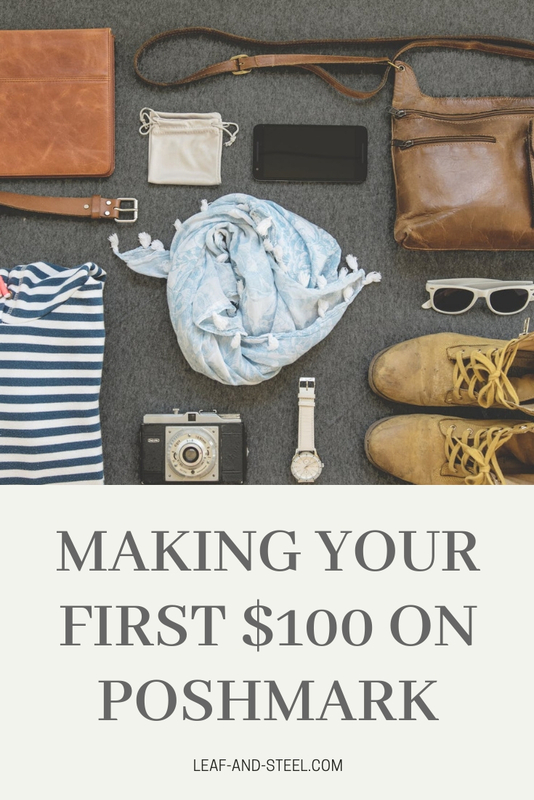 It’s a great way to clear out old clothes for cash or purchase trendy items that wouldn’t be worth paying for at full price. The layout is simple and easy to use, and I have found that buyers are pretty friendly and fair. Poshmark is not the place for hard goods; i.e. electronics, home decor, or books. There are guidelines that need to be followed or else you’ll be booted off the site. I’ve been on Poshmark for 3 years now and I absolutely love it! I went from getting rid of clothes that didn’t fit to going to thrift stores and flipping items. You can view my page here. The app and sign up is free.You can use code oliolib for $5 off your first order! I’ve compiled some simple tips for new Poshers! If you have a valuable tip if your own, feel free to drop it below! List. Listing items will cause them to pop up under “Just In” and they will come up first when a buyer searches for that item. If you have a limited number of inventory, try re-listing! Share. Share, share, share! Sharing other Posher’s closets usually results in them sharing your items back! Self-Share. Self-sharing means more potential buyers will see your items on their homepage! Seller Discount. Offer %25 for two or more, or only %5 for 7 items, whatever your choose! This will give buyers an incentive to bundle items together! Be Kind. Poshmark is a social network, and harassment or rudeness is never tolerated! Responding to questions politely and wrapping items with a personal touch goes a long way! Have you ever used Poshmark? If so, what has your experience been? I would love to know.